Reduce the cost of your flights to East London by making use of SouthAfrica.TO's exclusive travel voucher system. After a flight, email us to let us know who you flew with & why, and how your flight went, and we'll give you a travel voucher. Kulula operates its twice daily flights to ELS in modern B737-800 planes: the first flight (MN801) leaves O.R. 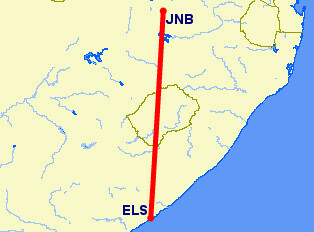 Tambo International Airport at 06h45 and arrives in ELS at 08h15 (perfect for getting to that morning business meeting in East London), and the 2nd (MN805) leaves Johannesburg at 15h55 and arrives in East London Airport at 17h25 (great for East London businessmen getting home). Yayness! Greeted by a jet of water sprayed by a fire tender, Kulula operated their first flight to East London on the 1st March 2013, celebrating the flight with give-aways and dancers. These flights fill the gap left by 1time airline, when it filed for bankruptcy in November 2012, and stopped flying to East London; leaving only South African Express flying the route. This is the 2nd bit of good news for East Londoners over the last week, the other being Blu Crane Air offering flights from Port Elizabeth to East London. Now, let's hope that they will also start flying from Cape Town to East London - Capetonians desperately need this route. They also ran a special on East London car rentals through Europcar - if you book a flight to East London between the first March 2013 & the 30th April 2013 you save up to ten percent off your car hire (must be from 2pm on a Thursday to 2pm on a Monday, must include a Saturday, minimum two days, maximum four). Plus there's a free upgrade to the car group applicable to car groups A, B, C & T only (East London branch only). T&Cs apply. 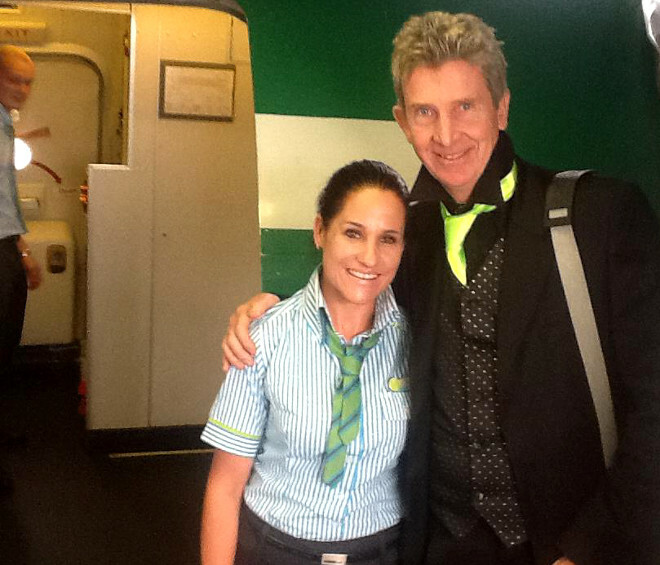 Here's Colin Underwood, magician and entertainer, about to board the Kulula plane on its way from Johannesburg to East London.